People often ask me what hand analysis is, how it is different and how it helps. How can hand analysis help? Hand analysis is all about self discovery and how to unlock your right life. It is not about how long you are going to live or what might or might not happen. In hand analysis there is zero prediction about the future. We explore talents and life purpose and how to access one’s potential. We look at both soul psychology (deep meaning) and at personality strengths. What is the difference between hand analysis and other systems? Hand analysis is a relatively new field of psychology that uses the hand as a mirror of the psyche. I believe that it is the psychology of the future. Many respected psychologists and coaches and counselors are already using it as an entry point to understand core issues and driving forces within the psyche. The focus is not on pathology but on mythology. How to see one’s life, and one’s life challenges, from a larger mythological perspective; from a soul perspective. And how does one’s personality characteristics impact on the larger game. Richard took everything he could find written about hands (palmistry, palm reading, other forms of hand reading) and tested it over time, eventually throwing out everything that was unreliable (more than 90% of the material). Over time he developed a number of principles on how hand shape and line formations are influenced by archetypal energies running through the meridians. The bulk of this part of his work is not yet published or available to the general public except through year long certification courses. At the same time Richard decoded fingerprints, developing a totally new approach to fingerprint analysis based on pattern complexity and the archetypal themes running through each finger. Unlike previous systems, fingerprints are not linked to personality characteristics but instead to life themes, meaning and fulfillment. (The soul’s objectives.) The method is able to answer deep questions such as “why am I here?” A portion of this material is published in his book, LifePrints. (2007) and in a longer manuscript (+ 500 pages) available as an e-book only. The rest is available only through advanced certification courses or through Earth School interviews. Richard’s work has a growing number of practitioners worldwide. Some teachers have taught his work for over 20 years, each with their own differences in interpretation and depth of understanding. Not all have kept abreast with his work which is constantly developing. Over the last 6 years I have interviewed Richard weekly in order to record his original thinking on a wide library of topics so that this material is available as a reference library for future hand analysts in generations to come. Yes. It is a bit of a wild west at the moment. 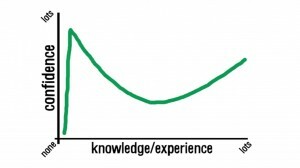 Practitioners tend to charge according to where they are on the graph alongside, and this creates a lot of confusion in the marketplace. Also, the market is further confused because there are also many people out there claiming to be hand analysts who have no formal training and are unaware of this fact. Instead, they are practicing other systems of hand reading (palm reading, palmistry, etc.) thinking there is no difference. Some people try to differentiate between systems by calling the IIHA system and its satellite schools “scientific hand analysis” or “Life Purpose hand analysis”. However, like all psychologies, it is an art as well as a science. Deep listening skills are required. Is there a danger of receiving negative information? Every strength is neutral. It has both positive and negative qualities. If a practitioner instills fear in you this means that they are not a genuine hand analyst. and how to stand next to this rather than in it. Could one become overwhelmed by what one hears? There would be no reason for anyone to feel overwhelmed, just deeply seen. This allows one to then take action, big or small steps, towards ones right life. How often should one have hand analysis? For some people one short session is enough. For others a longer session adds more depth. Some people like to do repetitive sessions over the years for fresh insight. Others find doing daily tracking exercises very helpful and work weekly or monthly with a life coach or therapist who knows their unique fingerprints. In other words, it depends on how much support a person wants. How is my work different to Richard’s? I stay 100% aligned with Richard’s system of analysis but bring in the teachings of spiritual teachers such as Thomas Huebl, Richard Moss and David R Hawkins. I think Richard’s fingerprint system explains the duality game we are playing. The information that deeply runs us, the game plan, or program we are running, is available to us in the form of an energetic blueprint visible in our fingerprints. 3 comments to What is hand analysis? Apologies for the delay. I’ve been in London last week.. I would love to meet you when next in Australia. I’ll be there from Oct 13 until end of the month.